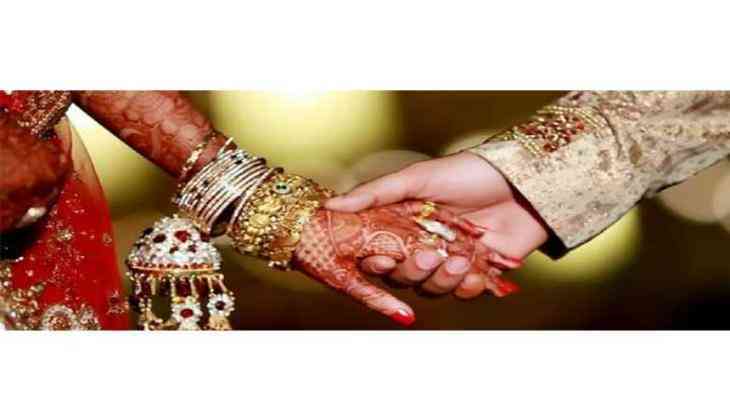 The Law Commission of India on Tuesday, while recommending compulsory registration of marriages, stressed on linking the registration to the Unique Identification Number (UID) in order to achieve universal tracing of records. A report published by the Law Commission said, "Also, if registration of marriage is linked to the unique identification number (UID), it would be possible to achieve universal tracing of records." The Commission also opined that the time limit to register marriage should be restricted within 30 days, thereafter inviting a penalty of Rs. 5 per day. "The Amendment Bill should provide that if the Birth or Marriage or Death is not registered within the specified time limit, then the Registrar shall on the payment of a late fee, register the death or birth (a) within a period of 30 days (b) within one year, only with the written permission 36 of the prescribed authority; and (c) after one year, only on an order of a First Class Magistrate. It provides for a penalty of Rs. 5 per day in case of delay in registration of 'marriage without a reasonable cause'," the statement read. The Commission also suggested that the amended law would enable better implementation of many other civil as well as criminal laws. It would provide citizens, not new rights, but better enforcement of existing rights under various family laws that grant and provide to protect many rights of spouses within a marriage. This Bill would supplement the domain of family laws that already exist and is not aimed at removing, abolishing or amending specific religious/cultural practices and laws that are accepted under personal laws prevailing in India, the report said. The Registrar, who is responsible for the registration of births and deaths, shall be responsible for the registration of marriages as well. "If the Registrar finds that any entry of a marriage in the register kept by him under this Act is erroneous in form or substance or has been fraudulently and improperly got made, he may, subject to such rules, as may be made by the State Government with respect to conditions on which and the circumstances in which, such entries may be corrected or cancelled, correct the error or cancel the entry by making a suitable entry in the margin, without any alteration of the original entry, and shall sign and attest such an entry, and also indicate the date of correction and/or cancellation so made. Provided that no such correction or alteration shall be made to the detriment of any person without giving him an opportunity of being heard," the report read. The Law Commission of India is of the opinion that compulsory registration of marriages is a necessary reform and recommends the amendment of the Registration of Births and Deaths Act, 1969 suitably to include compulsory registration of marriage as well within its scope so that existing administrative machinery is able to carry out registration. The Commission also recommended adoption of complete automation process by using the process of paperless documentation.